1. Wash and dry the wine glasses. Wipe down the glasses with alcohol to remove any residue, oils or finger marks. tape. Thin some red paint with water and make dots two inches apart for a total of six. (My wine glass was 12 inches in circumference. If yours is smaller make allowances for six equal sections. Remove the tape measure. Using the thinned paint make petal shapes using the dots as guides. It is not important to be perfect since flower petals are not perfect. 3. Turn the glass over and work on the outside bottom of the glass. Use the liner brush with black paint to make dots on the bottom of the bowl, a bit down the stem and some on the lower petal areas. Let dry. Add some black lines in between the dots. (See photo) Let dry. 4. Load the liner brush with yellow paint and add some longer yellow lines in between the black dots. (See photo) Do this in every petal space. 5. Paint the entire bottom black. 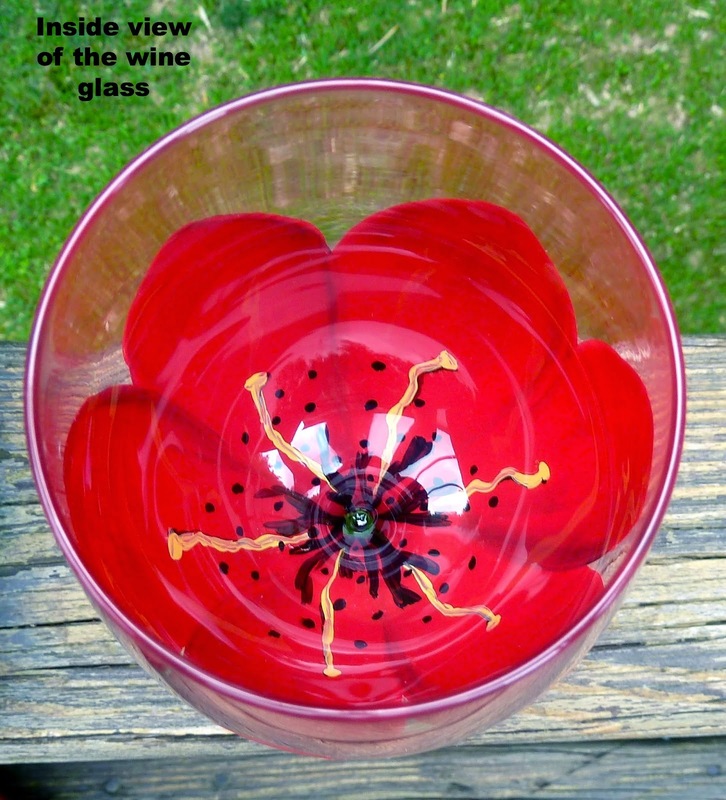 This will make the center of the flower appear darker on the inside of the glass. Let dry. 6. 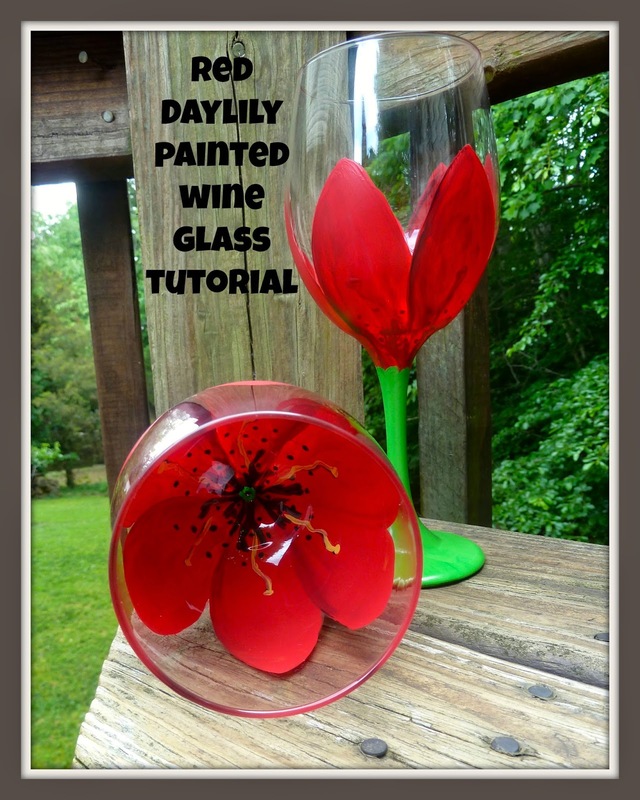 Load the flat brush with red paint and fill in the first petal right over top of the dried dots and lines. Continue with red paint filling in the second petal, but before the paint is dry, dip a corner of the flat brush in black paint and use it sideways to darken the area between the petals. Rinse and dry your brush. Continue making petals in this manner till you have filled in all six petals. Let dry. 7. Repeat step six for a second coat. Let dry. 8. Paint the stem lt. green and let dry completely. If you make any mistakes you can easily fix it with a cotton swab and alcohol or scrape it with a toothpick. The paint is not set until you bake it.